During my two year journey to healthier skincare (which is absolutely still a work in progress), I ignored my makeup routine. 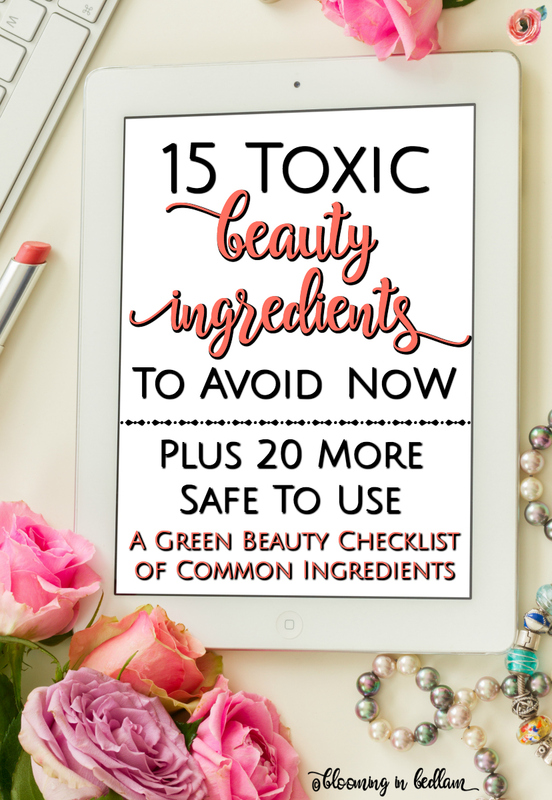 I thought it was too hard to research new products that would be less toxic and still perform the way I wanted. I also assumed it would be entirely too expensive to invest in them. But all summer long, I have been researching and trying out new products, watching makeup tutorials and practicing new techniques. I told my Husband, it was selflessly all for you, my readers :) The good news is now you don’t have to spend all your time and money researching and trying new things. I’ve got all the tips for you right here! Finally, here is how I detoxified my makeup routine! 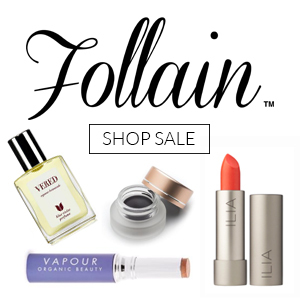 Let me just start by saying, I am not a purist in the green beauty game. I’m easing into it a little at a time because my attitude has always been “every little bit helps”. For example, I’m trying to lose the baby weight I gained during pregnancy and that stubbornly clung to me while nursing for nearly a year. I can’t train for a marathon, but I can watch what I eat and dance while doing the dishes (and it’s working). It’s all about balance some days. I feel the same way about natural skincare and beauty. I bought and tested a little at a time and have provided you links to my favorite basic items here. So how did I decide what was “less toxic”? First, I took a look at the products I was using every day and looked them up on the Skin Deep Database by Environmental Working Group. The EWG reviews and catalogs products we use every single day from sunscreen to hair care, lotion, soaps, and even makeup! They look at the ingredients in a product and the amounts of those ingredients and measure the toxicity level on a scale of 1 to 10. One is the least toxic, while ten is the most toxic. It is a huge database with over 60,000 products and 2,000 brands (and growing), but they don’t have everything. However, if your product isn’t in the database, you can build your own report. YAAASSS! All you have to do is enter some information about a product including the brand, item name, usage directions and a full list of the ingredients to get an estimated hazard score. Winning! For my purposes, I first looked up the products I was already using and their scores, which ranged between a very scary SIX to a Three. Then I started researching the scores on products I wanted to give a try. I was actually surprised a few times when a product I thought would be healthier from a brand that markets themselves as “natural” ended up having a higher score! Below are the products I used to use (and their scores), along with the healthier swaps (and scores) I am using now. Back in my early twenties, I never used foundation. But then stress and age got the best of me and I broke down and started using Smashbox Camera Ready CC Cream, which scores a Five (moderate hazard) on the EWG database. I have to be honest, I still love this stuff, even with the not-so-nice score. It just evens out my skin tone and is the perfect light weight coverage, but I needed to break out of my routine and try to lower that score. I tried a couple of super green products, which I won’t call out, that looked chalky or cakey and didn’t even have spf included in them. Basically, all summer long I was looking for something that provided lightweight coverage, a little spf and wasn’t too thick that I could slather on real quick and get back to chasing my toddler. After trying dozens of products the past couple years and none of them quite measuring up, I have finally found the holy grail of clean beauty CC Creams: Sappho New Paradigm CC Cream. I’m proud to report it has the lowest possible rating of ONE. It is all the things I want: light feeling with moderate coverage and a real skin look, even spf of 30. 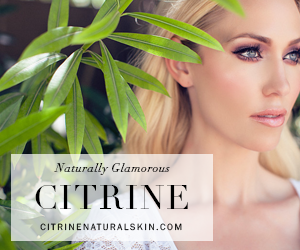 It is formulated with over 40% certified organic ingredients, and all ingredients are non-toxic. It has zero parabens, sulfates or phthalates. I shake it up, squeeze a pea-sized amount in my palm, dot on my face and smooth out with clean fingertips. It sinks in and evens out my redness and dark spots without looking like makeup. Perfect! Now if you want something more medium to full coverage, you’re in luck because I found one of those too! I absolutely LOVE Gressa’s Minimalist Corrective Serum Foundation, which has an EWG score of ONE as well. It is a comfortable lightweight feel with medium to full coverage and boasts some powerful skin loving ingredients including botanical oils and extracts of broccoli seed, neem, sea buckthorn, barberry, melissa and elder flower, just to name a few. 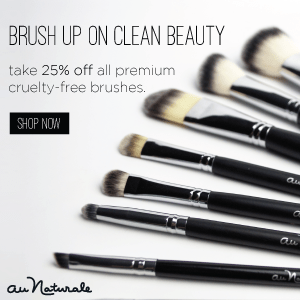 It has zero parabens, sulfates or phthalates, applies beautifully and stays put. What more could you ask except for it to stay in stock? With a very fair complexion and dry skin to boot, I have always had a hard time finding concealer. I need it just like everybody else for dark circles, but not so much for breakouts since I started Oil Cleansing nearly three years ago. Before I detoxified my makeup routine, I was using Benefit’s Fake-Up Under Eye Hydrating Concealer, which has an EWG score of four. It was okay, because again, I just have a hard time finding a concealer that is both light enough for me and hydrating. Just like with the foundation, I tried some duds and gems. My favorite has been the W3ll People Bio Correct Multi-Action Concealer. Miraculously, the lightest shade works on my super fair skin tone. The coverage is phenomenal and it applies very smooth then stays all day without creasing. Not tested on animals and made in the USA. Best of all, it is EWG Verified with a hazard score of two. My only concern is it is slightly drying, so it will absolutely not work for my under eye circles come winter. Never fear, I found a very hydrating under eye concealer in the Hynt Beauty Duet Perfecting Concealer, with an EWG score of TWO. It is completely full coverage and packed with moisturizers like aloe vera and avocado oil that calm and protect my sensitive under eye skin. My dark circles completely disappear and it doesn’t crease, stays all day and even makes my eyes look bigger. It’s also kinda my favorite. Seriously, the concealer was the easiest swap for me because I found two beautiful products. Truthfully, the last time I wore eyeshadow before this summer was at my wedding, nearly eight years ago. I usually just swiped on mascara and ran out the door. But in the interest of research and learning, I watched way too many youtube videos and tried my hand at all the beautiful multi-colored eyeshadow routines. As far as eyeshadow recommendations go, I tried the commercially available Tartlette Tease palette by Tarte, which is decently priced for six shadows and with an EWG hazard score of two. But my hands-down favorite for clean eyeshadows right now come from Red Apple Lipstick. They are so pigmented and buttery. Plus, they come in pans that pop into any magnetic cosmetic keeper like a Z Palette. 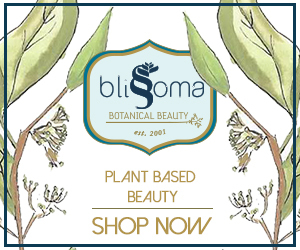 Every shade is vegan and cruelty free, as well as free of allergens, parabens, gluten, GMO and corn. My favorite colors are Like U Latte (the perfect base color for fair skin), Down to Earth (gorgeous shimmery light bronze), Brownie Points (perfect medium matte brown crease definer) and Champagne (perfect shimmery highlight). The colors score between a one and two, depending on the color. See the beautiful look I made using these colors below (lip gloss used: RMS Beauty Lip2Cheek in Illusive- EWG score of 1). In case you didn’t already know, I’m actually a cool ashy blonde in real life. So, while I don’t really need much filler to my thick brows, I do need a little color to warm or darken them up, depending on my current shade of red. Up until now, I was using Benefit’s Gimme Brow Gel, which has a score of four. It was easy to just swipe and go. It warmed up my brows just enough and kept them in place. I heard they released a new version, but I haven’t checked the ingredients score for it. That’s because I switched to Tarte’s Colored Clay Tinted Brow Gel, which has a score of three. I know it’s only a one point difference, but every little bit counts. I could have listed for you a lower one or two scored item, but to be honest, I just didn’t like them as much. This one is just an easy swipe and go again. Okay, this one was hard. I am a ride or die fan of Benefit’s Roller Lash Mascara, which I was pleased to discover already has a relatively low score of three. I don’t know if it’s some voodoo magic with the brush or a special formula, but it is dynamite! Every single time, I come out with long, thick and dark, defined lashes that curl up like there is no tomorrow. And at the end of the day, they still look just as good. No flakes, smudging, running or clumps. RIDE. OR. DIE. 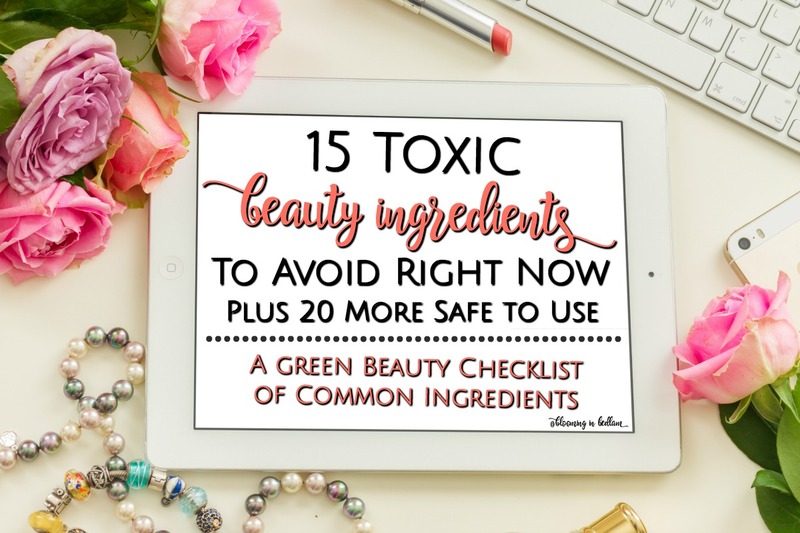 But in the interest of research, I tried several with lower scores that have been recommended by other big green beauty bloggers. I tried ones by Physician’s Formula, 100 Percent Pure, and W3ll People. I returned the first two in no time flat. The Physician’s Formula, was like trying to put wet tar on my lashes and made me look like a tarantula. The 100 Percent Pure turned grey and flaky by the end of the day. The W3ll People Expressionist Mascara promised to be really good since I loved the concealer so much, but at first I was a bit underwhelmed by it’s performance. It is an EWG Top Scoring Product (1 out of 10), so I needed to try it. It doesn’t curl like the Roller Lash or give much volume, but it does do a beautiful job at separating and defining lashes. But it did seem to melt onto my undereye over time and I still needed some volume and curl! Hynt Beauty’s Nocturne Mascara is to-die-for! It is dark and silky without the color bleeding on to my cheeks. My lashes are full, voluminous, curly, feathery, long and defined. Basically, it’s my Roller Lash, but with a lower score of TWO. My only complaint is the brush is a little stiff, so it took me a few tries to NOT get mascara on my lids. Bonus botanical extracts of rosemary and lavender help nourish and grow stronger lashes over time! So that’s the story of how I detoxified my makeup routine. As you can see, there were some real winners and a few duds. I am willing to do a follow up post for all the extras, like bronzer, highlighters, blushes and a few multi-tasking products if you would be interested. Leave me a note in the comments below, if you would enjoy that post. And don’t worry if you can’t afford to get all of these at once. I certainly didn’t. Just pick one now to try and pin the post for later so you can visit it again next month. Also, if you have a product suggestion, please share it with all of us! Let me know what you’re going to try first in the comments below. You’re right Kate. Several of them are not on the database, which is why I mentioned that I looked up their score through the EWG’s build your own report feature. See my link to that option in the 4th paragraph. How that helps. This is great, Cajun! EWG is my go-to website for checking on products, but obviously they don’t check products to see how well they work. I can’t wait to try out some of these products you’ve suggested! Thank you! It was very eye opening to me as well. That’s why it took me all flipping summer to research products and try them out. Balancing scores against how well they worked was no easy task for sure!